With a population of just over 91,000 individuals, Boca Raton is the southernmost location in Palm Beach County in Florida. The city is known as a popular business center in Florida which is why many new developments have popped up and why more and more people are considering this a luxury destination to move to permanently. If you have been dreaming about the idyllic beach living of Florida, Boca Raton is one of the most visually stunning locations to make this come to life. The city is about far more than its beaches because it also has incredibly rated public schools, many colleges, beautiful and abundant public spaces and parks, and art culture growing quickly and a rapidly developing economic environment. There are many different styles of architecture as well as neighborhoods within Boca Raton. Likewise, you can find a broad range as it relates to home styles as well, which is why people of all different backgrounds consider the area as a popular place for visiting as well as living. The wide variety you can find means that there is a little bit of something for everyone in Boca Raton, and that is sure to be true for you as well. Many people believe that choosing to live in Boca Raton is more about choosing a lifestyle as opposed to a place to live. As a result of the tropical climate, convenience, and numerous amenities, it is no surprise that people flock to this area to raise families as well as to retire. Boca Raton sits on the Florida's eastern side, and this means that the weather is almost always sunny. Most of the clouds and rain associated with Florida is absorbed in the west. In Boca, there are approximately 231 days of sun every single year. No wonder there is so much interest in outdoor activities with odds like that! People typically choose stunningly-appointed homes for kicking back and relaxing after a day out in the consistent sun. In July, the high in Boca is around 90 degrees, and the average low across the day is 58. Warm breezes are common throughout the spring and summer. If you are looking for an ideal place to enjoy the sunshine and a very mild winter, Boca Raton is the perfect place to do it! There are many different reasons why you might be considering moving to Boca Raton. The median home value in Boca Raton is $291,600. Although home values have increased over the past year, it is expected that they will decrease even further over the next coming year. This is one of the primary reasons why individuals looking for a beautiful home in Boca Raton might be surprised to learn that it is well within their affordability range. The great neighborhoods of Boca Raton boast everything from homes centered around golf courses to high rise condos. You'll also find plenty of mid-century single family homes all designed in typical Florida style. In the heart of the city you'll find the Broken Sound Club, an award-winning location that is accessible year-round. Most popular for the country club atmosphere and great golfing, members enjoy the elegance and outstanding hospitality, too. It's just one of the many country clubs that have modern amenities within easy access of any of the many home communities you'll find all throughout Boca Raton. There is a great deal of variation in terms of price, which is why it's said that there's something for everyone in Boca Raton. A home for a single family might start off around $175,000 for a small version, but luxury estates can also be spotted all over the area for more than $15 million. If you don't want a home and are just looking for a condo instead, the range in price also means you're likely to find something in your budget no matter what that budget it. A smaller starter condo can go for $50,000, but luxury condos with a penthouse suite and stunning ocean views will sell for more than $10 million. In addition, Boca Raton has a low rate of taxation. According to recent research, economic growth is one of the primary reasons that Boca Raton real estate is becoming so appealing to potential buyers. This is because the business climate of this new economic center has created at least 8,000 new jobs over the course of the past five years. Part of that is because it is earning a reputation as a startup hub for technological companies. Popular employers in this area include the corporate offices for Office Depot, ADP Payroll Services, IBM, The Cancer Treatment Centers of America, and educational facilities. Combined with the educational atmosphere that is already prominent in Boca Raton, it's no surprise that some of the best and brightest come to the area to learn and to work. As a bubbling tech hub, innovation and education are the name of the game. Education, Culture and History, Oh My! Since the area boasts many private and public K-12 schools as well as five universities, there is plenty of culture, history and education in the area as well. Across the entire city of Boca Raton, there are 46 parks that make up more than 16,000 acres of trail and park land. There is also the hard to resist potential of spending a great deal of your time at the beach with 4 miles of public beaches. Rather than being commercialized, Boca Raton has kept this area as natural as possible. And pet owners will rejoice in the opportunity to enjoy the dog beaches of Palm Beach County as well. If you are into the arts and sports or great restaurants, you will not be let down by all that Boca Raton has to offer in this way, either. According to many who live in the area, the dining opportunities in Boca Raton are improving every single year. You can also take advantage of a farmer's market if you prefer to eat in and use delicious local produce to do this. Boca is also home to the Festival of the Arts that brings tourists from all over the country every March. As you can expect, a lot of the activities you can enjoy in Boca Raton are outdoors, and the same can be said for the restaurants. Many have great patios and outdoor dining areas where you can enjoy the sun and breeze while having a fine meal. The broad range of opportunities in terms of dining gives you access to some of the most delicious cuisines from all over the world, no matter what you're feeling like having tonight. The price of housing in Boca Raton makes it extremely affordable and attractive for potential buyers. With a median listing price of $390,000 and a median closing price of $265,000, many individuals can stretch their dollar quite far in terms of square footage. The price per square foot is $201 and there are thousands of homes available for sale in Boca Raton at any given time. Many of these homes fit the popular theme of resort style and can ignite your passion about moving to Florida with the beautiful colors and laid back lifestyle as well. Another popular style for the architecture in Boca Raton is known as Spanish colonial revival or Mediterranean revival. This was inspired primarily by resort architect Addison Mizner who had a major impact on the early development of Boca Raton. There are still relatively restrictive development codes about the types and sizes of commercial buildings, advertisements and building signs that are allowed to be established within the city limits. Another interesting fact is that no outdoor car dealerships are authorized to be in the municipality. No billboards are allowed either. This is part of what makes Boca Raton so majestic and beautiful year round. One of the primary reasons that many individuals choose to relocate to Florida and Boca Raton in particular, is the opportunity to enjoy the great outdoors. One of the most popular areas in the Boca Raton location is what is known as Red Reef Park. This houses the Gumbo Limbo Environmental Complex and Education Center geared at environmental science. There is a butterfly garden boardwalk trail and sea tanks along with an observation tower and hammocks as well. In the same facility, there is a research operation run by Florida Atlantic University, where students study creatures like seagrass, sharks, sea turtles and other subjects of the sea. Another popular municipal park in the Boca Raton area is called Sugar Sand Park. Inside this location you'll find the Children's Science Explorium which is ideal for a day out with the family. Country clubs and gated communities are part of what's to be expected in the landscape of Boca Raton. According to recent research by Forbes magazine Boca Raton has three out of ten of the most luxurious gated communities across the entire country. Coming in at #1 was the Royal Palm Yacht and Country Club, followed by two other area locations hitting rank #6 and #8. 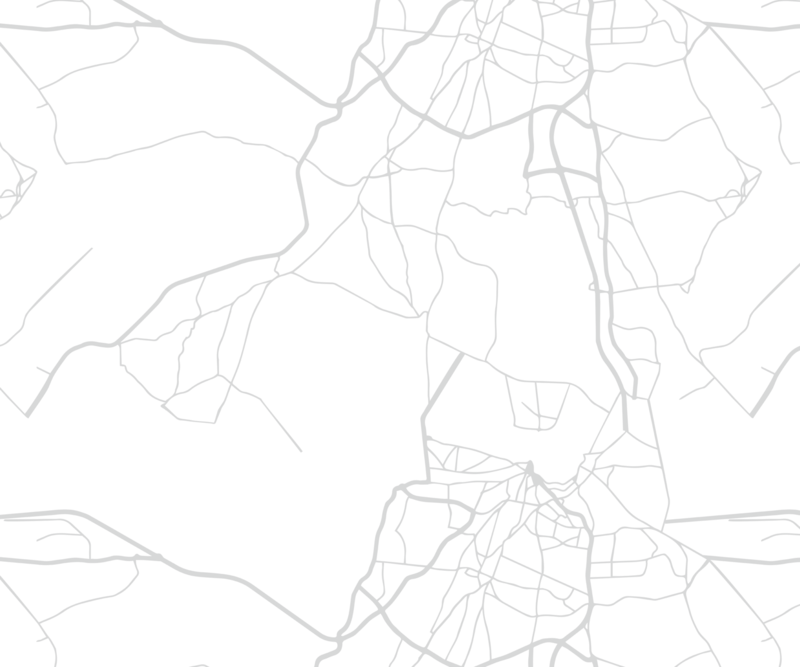 One of the questions you might have about relocating to this area is whether the gated communities are primarily there because of crime statistics. But this is not something that should be too concerning for individuals relocating on their own or with a family. In fact, many individuals who live in Boca Raton believe it is the best place to live in the entire sunshine state. Fabulous shopping options is just one more reason to consider Boca Raton at the top of your list when you are identifying a new place for you and your family. The Town Center of Boca Raton is in the middle of the city and is also the biggest indoor mall across Palm Beach County. 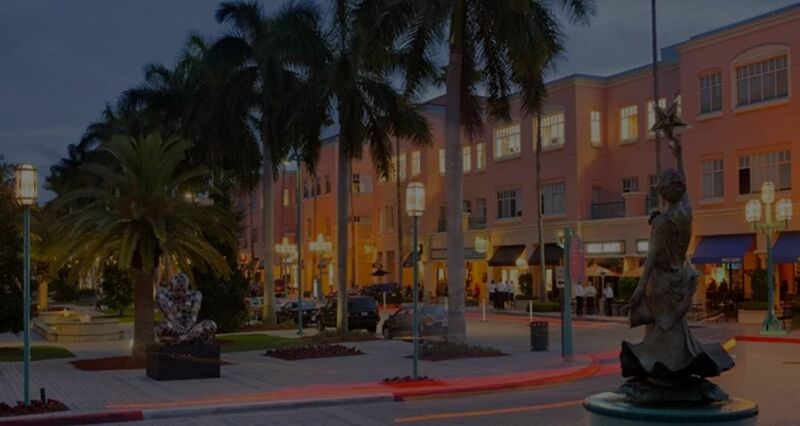 Harkening back to the legacy established by Mizner, close to the town center is Mizner Park where there are two long streets with stores on each side and plenty of green landscaped space in the middle. At the end of this stretch is the Centre for the Arts that has a concert hall, the Boca Raton Museum of Art and an amphitheater. There are many different amenities located throughout Boca Raton that allow you to enjoy the indoors or the outdoors while living a lux lifestyle if you choose to or staying within your budget by purchasing a more reasonable home. Consult with a Florida real estate specialist if you wish to learn more about some of the most popular communities in Boca Raton and how you can find your ideal dream home as soon as possible. 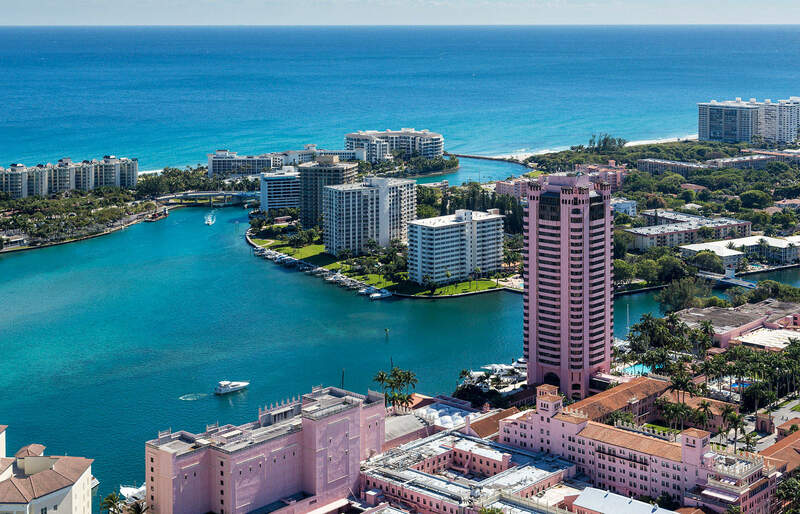 After reading through all of the amazing reasons why Boca Raton is one of Florida's most popular areas to visit and live, you might be feeling overwhelmed. If so, schedule a trip to Boca to kick back and relax after you have completed the search for your dream home. The atmosphere of Boca Raton will ignite your interest in all that the community has to offer, and you'll easily be able to picture your own peaceful future in this amazing place. Come on down to Boca Raton and take in as much as you can as a new resident of this fantastic area! You can search the listings below to find homes in Boca Raton that are for sale. If you have any questions or want to buy a property contact the Chance Realty team today!